Home / Reviews / Household / Great Recipes for using Pilgrim Essential Oil Diffusers for the Holidays! Great Recipes for using Pilgrim Essential Oil Diffusers for the Holidays! If you use essential oils, I want to be sure that you know about Pilgrim Diffusers, they are the prettiest and quietest essential oil diffusers I have seen. They have numerous styles and so many that look like something you would set on your table even if they did not have a great function. As we all know there is nothing better than a beautiful thing that functions as well as it looks. Isn’t this just so smart looking? 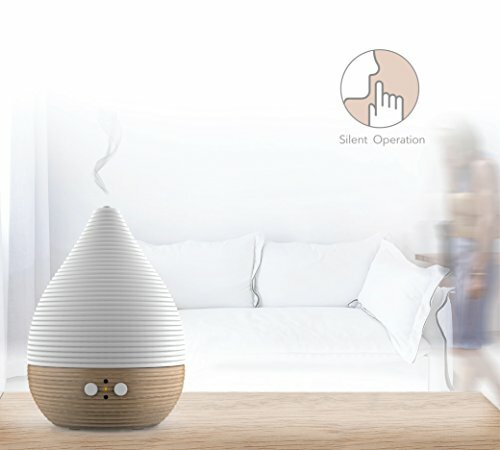 This one is designed in Belguim in bamboo and ceramic to lend a smart and sustainable look as well as wonderful scents and therapeutic benefits of your essential oils. I personally love when my home smells great. I don’t like to use aerosols and other artificial scents around, however, I often find them choking and rather than pleasant and who wants guests to feel that way when they visit. I have found a few of my favorite blends for the holiday season, that can be added to the Pilgrim Diffusers to help you home to smell delicious! This is amazing in the diffuser, and I have found this year the first time I used it in the Pilgrim Diffuser it was permeated through my house so quickly and the diffuser was almost silent, I just love the way they work and look. During Thanksgiving I like to set up my small Pilgrim Diffuser and fill it with an orange citrus oil, it lends well with the smells of cooking and food and also seems to settle everyone down well. As you may know, when you diffuse essential oils you are using just a small amount and because of that you have such little waste, you can use top of the line oils, with a Pilgrim Diffuser and it can last the whole Fall/Holiday Season. At Christmas I like to diffuse a little peppermint with something sweet perhaps Ylang Ylang, it makes it so nice. I also love the smell of Vanilla and Cinnamon at the holidays, I think it reminds me of baking and family time. YUMMY!! You will find so many recipes around and your friends and essential oil manufacturers probably have some great ideas too. I will say that my Pilgrim diffuser helped me already this fall with my first cold. I was able to diffuse quietly and silently a decongestant mix and feel so much better while sleeping! Check out all of the great diffusers from Pilgrim at their website and follow them on Facebook, to keep up with great specials and holiday sales! Previous post: First Check® Giveaway $200 in Prizes!